PackZen has a wealth of methods to give your next project the “wow” factor to win over customers. We’ll consult with you to show how adding your brand’s logo via foil stamping, appliqué, or embossing instantly adds permanent value to any product you distribute. Your brand’s image will be strengthened every time customers see your professionally presented logo. Our private labeling service has similarly become a popular branding vehicle for small and large companies alike; we can combine your ideas with our developmental expertise to create a product that is distinctly your own. Branding - Once your logo is on file with us, imprinting any of our products with your brand is as simple as making a phone call. Given the critical importance of brand identity in this day and age, it only makes sense to take advantage of reminding customers of your brand at every possible turn. We regularly work with our clients to introduce a sound and consistent visual strategy from project to project. 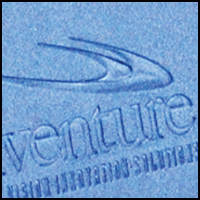 Univenture works as a private label manufacturer for brands across many industries. As one of our private labeling clients, your customers will associate our superior packaging with your brand name and product. Foil Stamping - The elegant, professional mark of a well-designed foil stamp is unmistakable. Hot foil stampers use heat to apply metallic foil, often gold or silver in color, to vinyl. 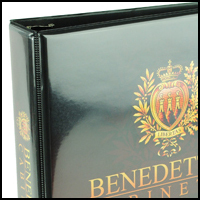 The resulting texture is classic and refined, and lends well to binders for important documents and momentous occasions. The distinctive finish of a foil stamp combined with other effects such as embossing or appliqué sends a clear and professional message. Clear Overlay / Entrapment - Overlays are a simple and cost-effective solution for implementing colorful graphics on our casing products, and can be adjusted to allow or disallow replacement. An overlay is a clear layer added to the outside of a piece into which a customer can insert or remove a printed sheet. Entrapment refers to an overlay that has been permanently sealed on all sides during manufacturing. 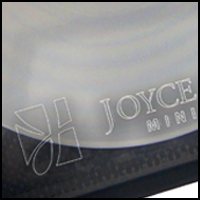 Many of our stock products already come equipped with clear pockets for overlays, making this durable, scratch-resistant, and cost-effective option a popular choice with our clients. If you need a practical way to distribute your product with a full-color print appearance on a large scale, consider discussing an overlay with your sales consultant. Debossing & Embossing - Debossing & embossing lend an understated refinement to your business’s product. We can both sink and raise decorations such as logos into vinyl and poly products, introducing a subtle but tangible impression of your brand. Embossing in particular is often used in tandem with foil stamping to evoke a superb three dimensional effect. 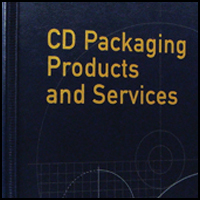 Debossing and embossing are well-suited to private labeling applications, as the resulting decoration makes it appear that your own company manufactured the product. Contact our sales consultants to learn more about how we can add this personalized detail to your next project. Appliqué - The unique texture and 3-dimensional effect from appliqué on your product automatically suggests greater value. To create an appliqué effect, we use a custom die to apply, cut, and seal pieces of colored vinyl to the surface of a vinyl base layer. The raised style of the resulting decoration is ideal for reproducing logos or other motifs. 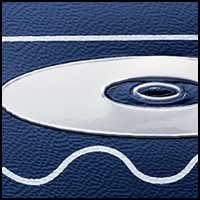 Some of the world’s most instantly recognizable brands trust appliqué emblems to distinguish their products. This luxurious, high-performance application is guaranteed to make your product and brand stand out.